P.S. I lived in Central Oregon at the time. What a beautiful bird. 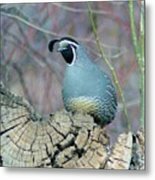 My favorite story is of a family of Quail. 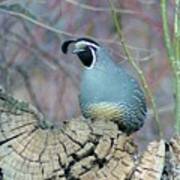 I stopped my car to on a dirt road to let a Quail family cross safely. After they were all in the bushes one of the parents turned and charged the car to show me who was boss. Excellent photo. 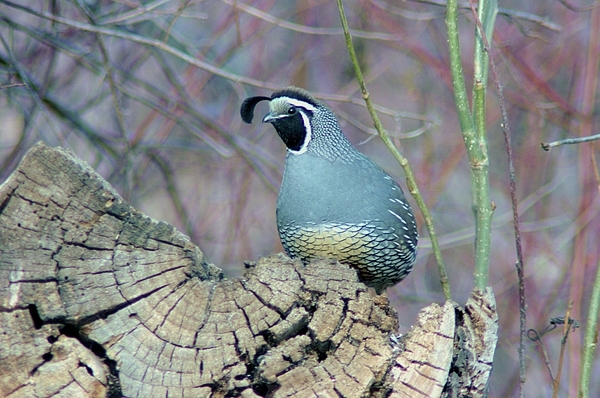 Excellent photo of a California Quail. They are so similar to our Gambel's Quail that is what I called it when I first saw it. 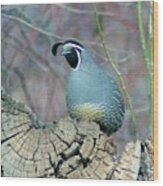 The difference is the location where they are seen and the California Quail had light brown color above his beak. Very sweet with such a big smile appearing to be on his face. The more I looked the more I wanted to SMILE. He sure does have a big smiling face! Wonderful!! Please enter this in the new group "AVIAN". your photos are so beautiful im gonna try hard and take alot of time looking at them all, they are so worth it ty!! That is a very kind remark I hope you enjoy Thank you so much!
. wish I could see one . they are so exotic and very beautiful . Awesome shot Jeff - Chris.